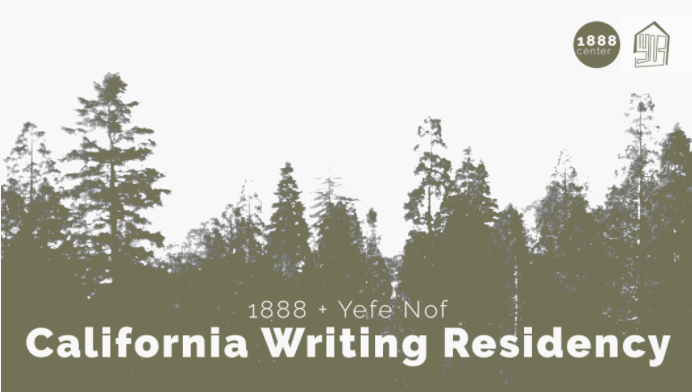 Yefe Nof + Heritage Future are pleased to announce the California Writing Residency. California writers from the coast and valleys to the forests and deserts are invited to apply for three two-week residencies in the mountains of Lake Arrowhead where the creative environment will nurture your craft and help carry on the tradition of the California voice. The submission period is from January 1 through February 28 and applications will be accepted through Submittable. Our panel of judges will select three California authors and schedule residencies from April 1 through May 19. —All submissions must be submitted through Submittable unless otherwise noted. If you experience problems with your submission and need technical support, please contact Submittable’s help desk via email (support@submittable.com), phone (855-467-8264, ext. 2) or by visiting help.submittable.com. —All applications must be in English. —Entrants must be individuals and not a company or organization. —Entrants must submit their work using their real name. —Entrants must be over 18 years of age at the time of submission. —Entrants must pay the application fee in order to be eligible. —Only applications received and paid for by midnight (Pacific Standard Time) February 28th will be considered. —Applications that are not paid for, incomplete, are corrupted or submitted after the deadline will not be considered. —The identity of all entrants is withheld throughout the process. —To ensure the quality and diversity of the selections, each submission is considered by several judges. —Finalists will be notified by email when they have been selected. —Unsuccessful applicants will not be contacted. —No editorial feedback or notes will be provided. —The decision of the judges is final and no correspondence will be entered into regarding the judging process. —The residency is not open to employees of Yefe Nof or 1888 or members of the judging panel. Family members of any of the aforementioned are also not eligible. —Only submissions which meet all Terms and Conditions will be considered. —By entering this competition, each entrant agrees to be bound by these Terms and Conditions. —Compliance and Liability: Assurance of compliance: By submitting the application form, the applicant certifies that he/she is in compliance with the statutes outlined below and all related Yefe Nof regulations and will maintain records and submit the reports that are necessary to determine compliance. Upon taking residency, you will be held liable for the contents of the house, and for leaving the house the way that you found it after your term of accommodation. —Release: In the event that you are personally harmed during your stay at Yefe Nof, due to seasonal weather or any other natural or human circumstance, the Soltz family, those who comprise the selection committee, or anyone associated with the organization of Yefe Nof is not responsible for covering the costs to redress the situation.